At Green Van Lines, we perform ongoing training with all of our employees to ensure our local movers in Benbrook are as efficient as possible for you. Our customers rely on prompt, affordable packing and moving services to get them where they are going. From point A to point B, Green Van Lines is with you the entire step of the way. With a broad range of efficient packaging materials, our movers in Benbrook are adequately supplied with the right tools for the job. No matter what you may be packing for your local move, whether it be furniture, antiques, or electronics, we’ll get each item to your new home or office safely. When it comes to a long distance move, the opposite side of the country seems so very far away, which can be incredibly intimidating. There are many miles for your belongings to travel, but that is why you need to consider a professional moving company like Green Van Lines. We handle the tough work, including packaging, loading, and transporting all of your items. No matter the distance, we’ll get you where you’re going. A collection of vehicles is an expensive investment for any collector or business owner, which is why our movers in Benbrook take special care to avoid unnecessary damages. Your valued vehicles will be completely safe in our open car carrier trucks and trailers. We guarantee to carefully wrap and transport all the office furniture and machinery that is imperative to the daily operation of your business. We only use eco-friendly equipment and bio-diesel trucks to carry your items, ensuring we leave a green mark on the environment. The competition has never matched our commitment to providing excellent customer service to homeowners. Our rates are consistently set at the most competitive in the industry, ensuring you can take full advantage of savings during your relocation. At Green Van Lines, our Benbrook movers have planned and executed numerous large-scale corporate moves. We have also helped hundreds of smaller businesses relocate their offices across the country. Whether your business requires multiple moving phases or just one truck and two professionals, we’ll get the job done promptly. Our headquarters is located in Addison, TX. You will find the office at 4015 Belt Line Road, TX 75001. Benbrook, a city located in Tarrant County, features various opportunities for families moving to the area. Some of our top employers include Walmart, Weatherford International, and Western Hills High School. Residents enjoy local eateries like Taco Villa or Pulido’s Mexican Restaurant. 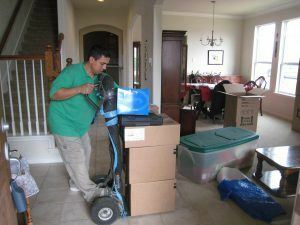 Call Green Van Lines today to hire the best Benbrook movers for your relocation. You can reach us at 888-770-4733. We serve entire Benbrook, TX 76109, 76116, 76126, 76132.